Buying /Investing in real estate acts a forced way to save. Though owning real estate is not for everyone, I mean, its not like you live in a rental where everything is taken care of by someone else, owning real estate is the real deal. Repairs, replacements, cleaning, painting, updating, etc. etc. all can add to the level of ownership responsibilities....but this article just came across and it again reminds me and should be a good reminder of you, why owning real estate is a solid form of forced savings! With all of today's marketing, it is super easy to spend money. You can now spend money from your phone, never leave your house as Amazon will deliver it......c'mon, think of that temptation that is always there, not even have to leave your house! Instant! I have to thank CNBC's Diana Olnick on a great write up here. Let me cut to the napkin approach, as - Dr Ken Johnson nails this in a quote below. Now, we all know headlines can attract readers and the stronger the headline the more readership you can attract, but after dissecting the report, this headline may have gone too far. 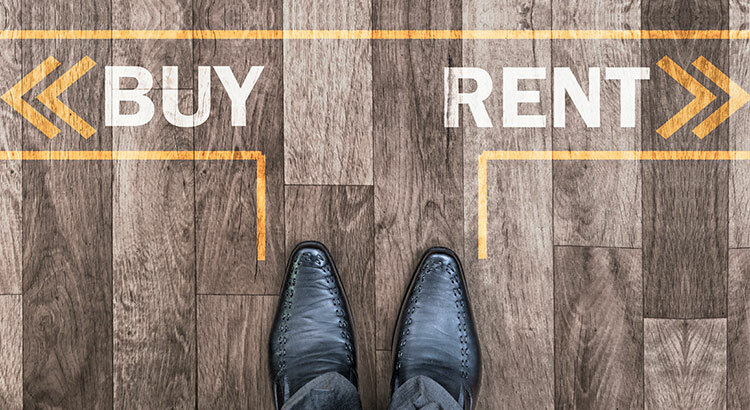 The FAUreport notes that rising home prices and the threat of increasing mortgage rates could make the decision of whether to rent or to buy a harder one in three metros, but does not say not to buy a home. According to Freddie Mac,mortgage interest rates reached their lowest mark of 2017 last week at 3.89%. Interest rates have hovered around 4% for the majority of 2017, giving many buyers relief from rising home prices and helping with affordability.